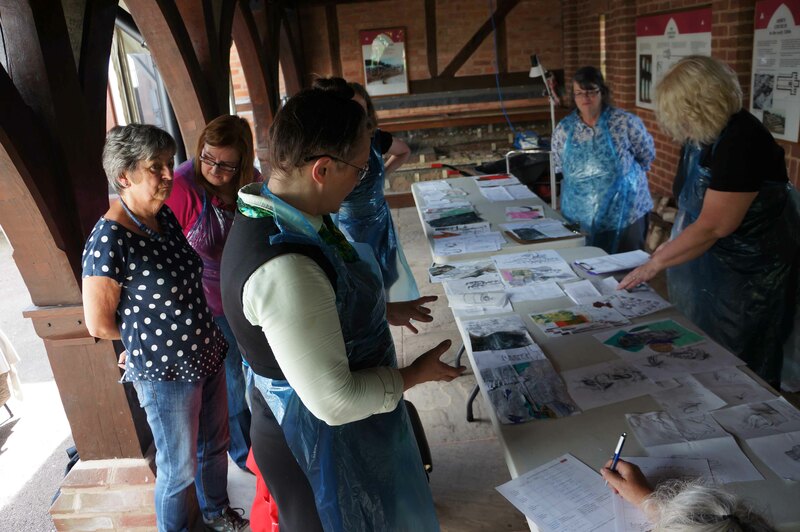 We held two workshops during our exhibition at Forge Mill. 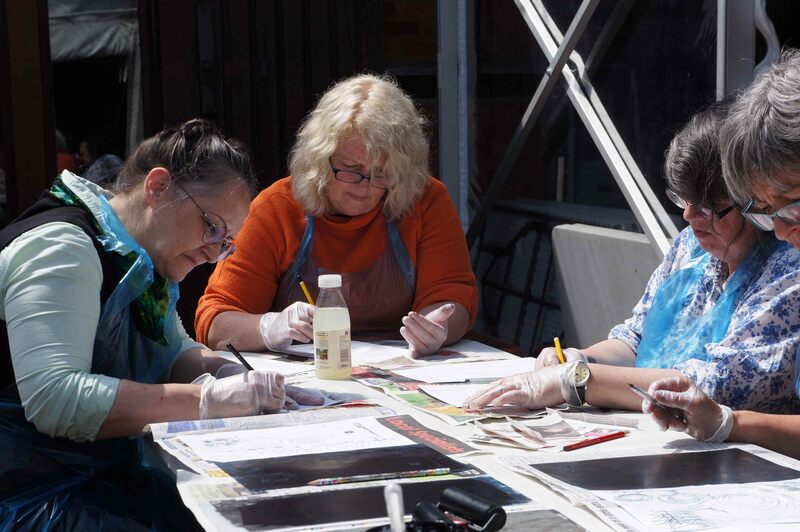 An Art and Heritage Interpretation workshop on June 20th and on the 27th an Embossing workshop. 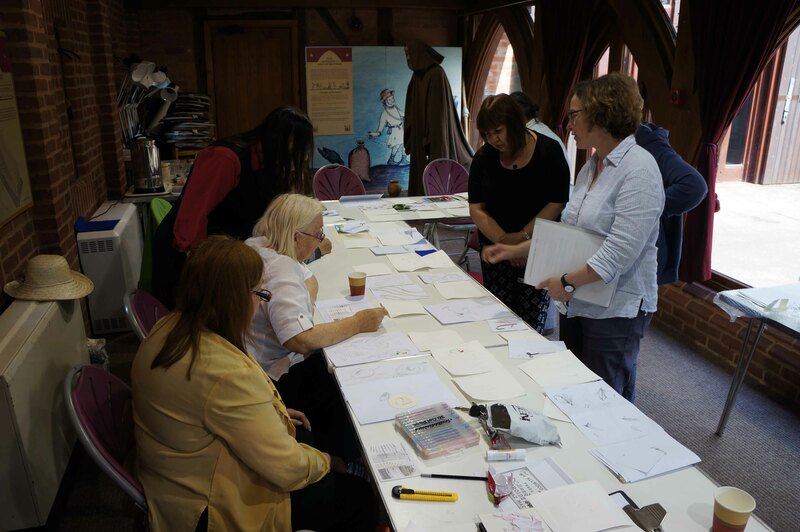 The Interpretation workshop was led Jill Impey and began with drawing in the museum collection. 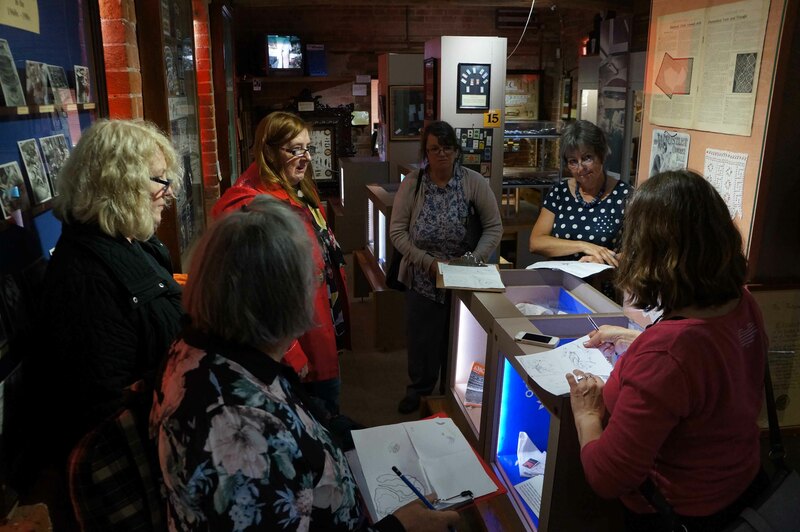 Objects were considered along themes of; aesthetics, senses, politics, history and geography. 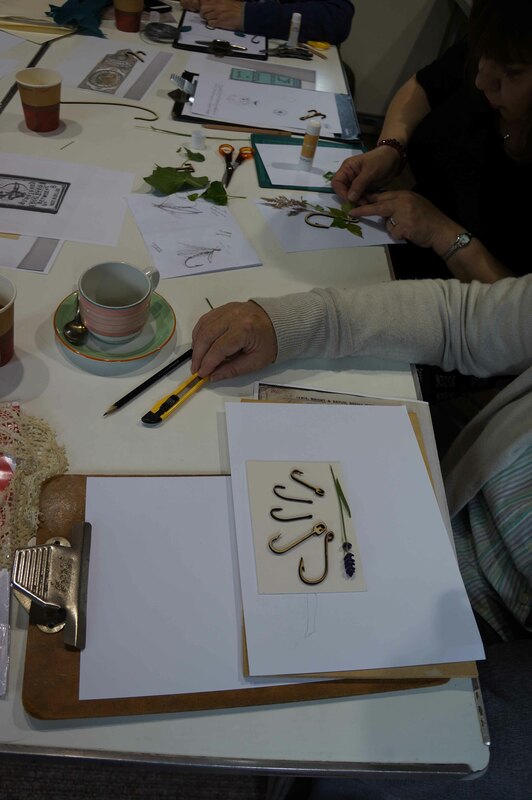 This was followed by developing the drawings into designs to be mono printed. 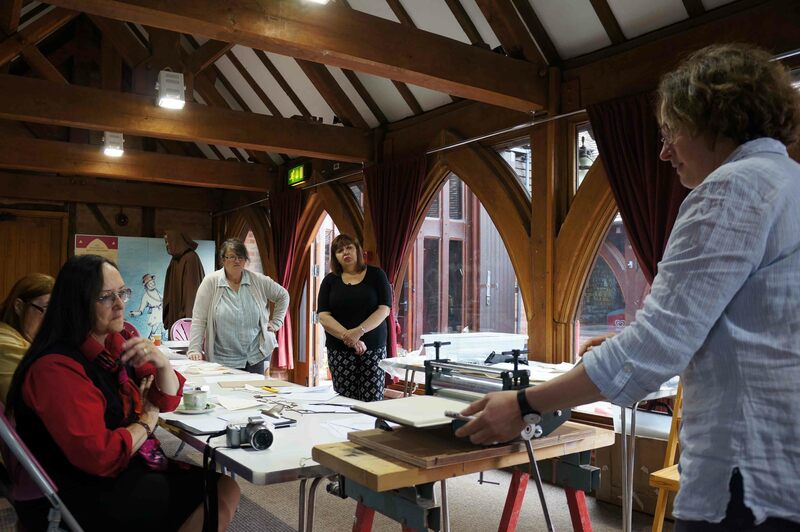 The embossing workshop was led Liz and followed a similar format, but began with the a demonstration of the principles of embossing and the use of the press. 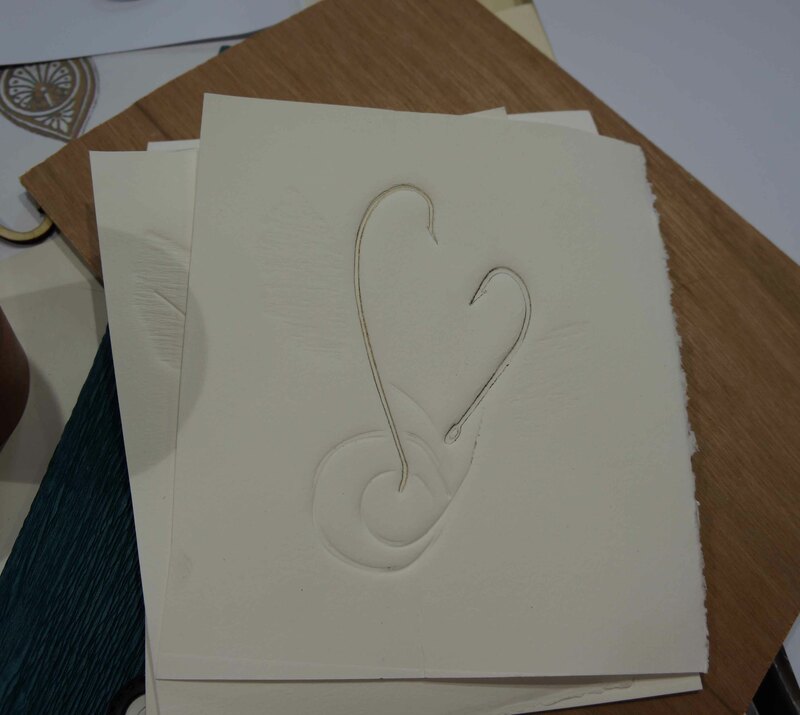 A session of experimenting was followed by design development and some fine embossing resulted. At the end of each workshop we reviewed all the work produced. We hope to display some the work as part of an exhibition in the Kingfisher Shopping Centre we are having at the start of August.